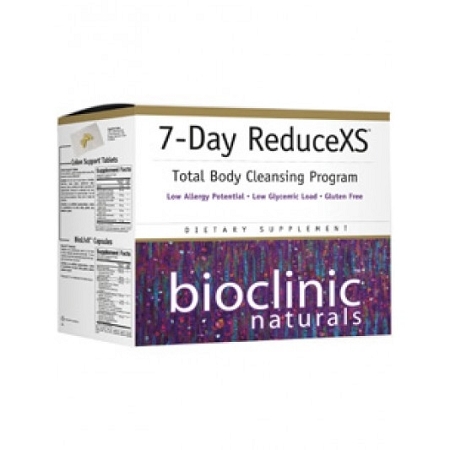 If you’re looking for a convenient cleansing regimen‚ you might want to try Bioclinic Naturals’ 7-Day ReduceXS™ Kit. The 7-Day ReduceXS™ Kit is comprised of three components: RestorX™ Intestinal Repair Nutritional Drink Mix‚ DetoxiCleanse™ Detoxification Nutritional Drink Mix‚ and a packet of colon and liver support pills. Both drink mixes are gluten-free and have a low glycemic load. Contains no artificial preservatives, colors or sweeteners and no dairy, gluten or wheat.